The big cars' main title of 2016 was decided tonight with the 2016 Unlimited World Final, held at Ipswich for the second year in succession. As always, I apologise for the delay in preparing the World FInal grid but it has to be right. I also have to apologise for the ridiculous amounts of rule breaking over tonight's meeting; I have mentioned this to a number of drivers but I have had significant issues outside of LFS in recent months that means I have not been as committed to this as I usually am. This should change from now and this meeting will be reviewed in full over the weekend: there will be warnings issued as some of the rule breaking was downright stupid. An easy win for the two-time 2 Litre World Champion as Youngy led the continually impressive Michal into the World Final with him. Commiserations to those who failed to qualify, especially Lukey and Sam who had a great battle with each other in the race but just couldn't catch the top two. The Unlimited World Final had never been successfully retained by the previous year's winner, with Daz, Foster and Tim all failing to do so. Kane has broken that record by becoming the first to win it two years in a row. Admittedly, it was not a hard challenge as #238 started well from pole and despite the likes of Miniman and Pepino keeping up with him in the early stages, he got too far ahead of the chasing pack and wasn't caught by anyone, even drivers further down the field who were looking for a big hit. 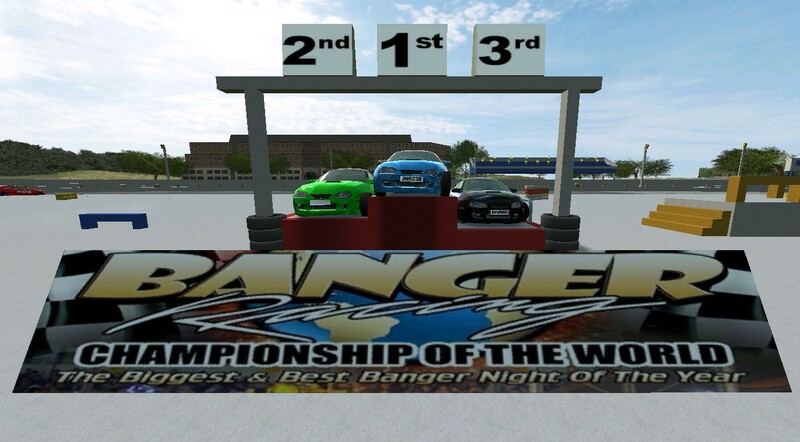 Youngy nearly repeated his brother Nova's achievement of qualifying through the LCQ and taking the title but it wasn't to be as he secured a great second place anyway, while Miniman was the last driver on the podium with a fine first place. As always, commiserations to those who finished the 22 lap race but got nothing for it. Although Kane has not attended every meeting this year, he demonstrated that he is still the one to beat in the Unlimited series by winning the World Final and also keeping the silver roof as points champion. Can he keep both titles again next year? The Champion of Champions qualifier from the Unlimited World Final meeting is the winner of the Unlimited World Final. Youngy's place on the CoC grid is the OUTSIDE of the SECOND ROW. Cap's place on the CoC grid is the OUTSIDE of the FIFTH ROW. Two well-deserved qualifiers for the season-ending Champion of Champions as Youngy finally joins his brother Nova on the grid by being the best-qualified driver who hadn't already made the grid from the Unlimited World Final. Cap also makes it onto the grid after being the third highest-points scorer in the Unlimiteds: the already-qualified Kane and Rik were first and second respectively. CONGRATULATIONS TO 238 KANE - 2016 UNLIMITED WORLD CHAMPION! The top 3 in the 2016 Unlimited World Final (from L-R: Youngy (2nd), Kane (1st), Miniman (3rd)).